Teacher Sydney here! This is a repost of a massive thread from the VIPKid Teacher Q & A Facebook group that addresses how I personally teach Unit Assessments and how you can expect to generally go about them too! Remember, this is just how I do things. 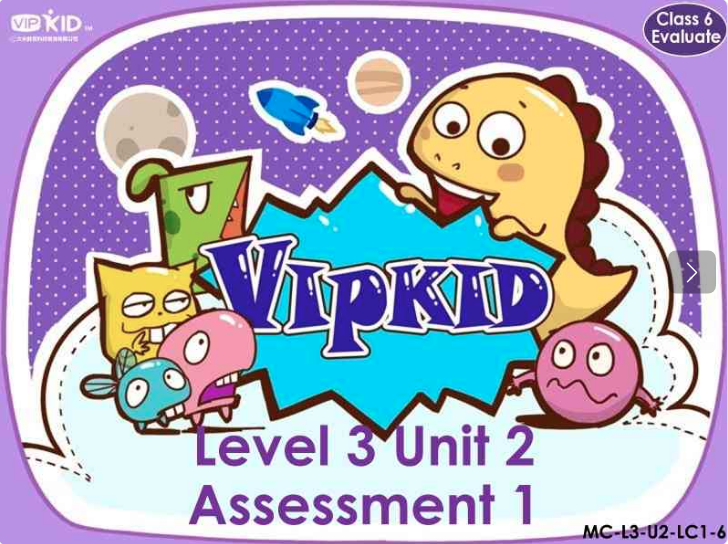 You can also check out VIPKID’s “Unit Assessments - Support Page” in your teacher portal. Find what works for you! Some content has been edited for grammar/clarity. Enjoy, and happy teaching! Unit Assessments (UAs) are always during lessons 6 and 12 of a Major Course (MC) unit. For normal MC classes, you can easily identify them by their lesson name in your classroom tab and the first slide of the lesson. For interactive lessons, it will not say that it is an assessment in their lesson name, but it will say “Assessment” on the first slide. So be careful! The pictures below are BOTH Unit Assessments. They are also easily recognizable while you are doing the actual lesson/assessment. They all have the same general board game format and many slides. You will do pacing based off the QUESTION number, not the slide number. If you try to pace yourself off of the slide number, you will end up going way too fast or too slow. There should be 18-20 questions. So, I try to make sure each question takes at least a minute and then I also do extension on the game slides (more on that in a second) to make up the extra time. In lesson 6 UAs you can also take up extra time by going over the projects at the end. That should comfortably put you at 25 minutes. No more, no less. I don't use an external secondary reward system. 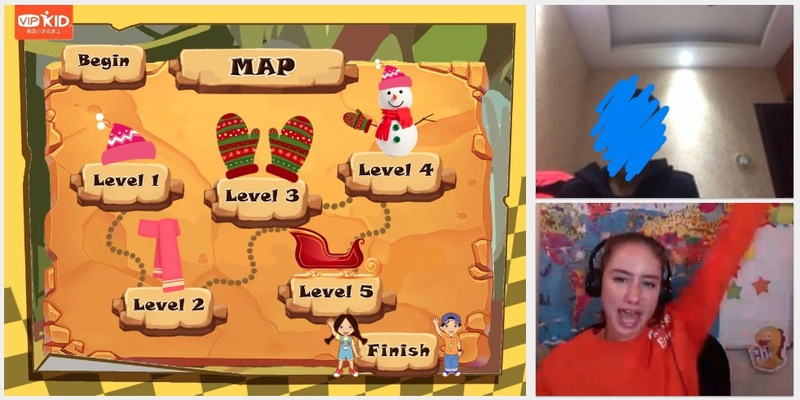 THIS IS NOT VIPKID POLICY. If a parent complains that you did not use an external secondary reward, that complaint will stand. So far it has never happened to me in my 1800+ classes, but it could. I just use the stars and the built-in game system itself as my two rewards. I honestly do not have time to do all that AND manage an external reward system. Teacher Erin just puts magnet stars on her whiteboard behind her when she gives the class stars to cover her reward bases. You access your UA form by clicking on “Add Feedback.” It is up to you whether you fill out the UA form while you are in class. Generally I look over it a few minutes before class starts so I have an idea of what the questions are looking for and then stick it to the bottom of the page, so I can quickly scroll down and reference it if I don't know what the answer is supposed to be for a question. You can also zoom out your screen to see more of the form at the bottom if you wish. In the new style of classroom, you can actually put the UA form on the right hand side of the screen which makes it even easier to fill out during class. Generally speaking, the student scores 2 points if they are able to answer all of the question without assistance, 1 point if they need some help, 0 points if they say nothing and you cannot ever get them to repeat (this has never happened to me, do not give zero points unless your student gets up and leaves or something severe). For the most part, students should get all the points on most questions. I keep post-it notes on my desk and discreetly write the number of any questions that I had to help the student with. Do NOT look like you are looking off screen or taking notes! Apparently, the cultural assumption if you do that is that you are disinterested and on social media. At the end of class go and put in your scores with 2 points for all the questions you didn't jot down and then check the criteria for the ones you did jot down and determine if they get 1 or 2 points. If there are 18 questions, I never give less than a 25/36 unless the student left, was silent the entire time, or I am recommending they be placed in an entirely different level. If this is your first class with a student, do not recommend a level change. I recommend this because we are tutors, not teachers, and I try to go easy on the students to avoid lowering their confidence. After all, we want to encourage students to produce more English so we can correct them and help them learn. The question numbers for each slide are in the teacher tips at the bottom (or top if it’s interactive); Q1, Q2, etc. The comments that you write at the end and the scores do go to the parents. A general way I recommend writing feedback is going section by section (there are... four? maybe five? They are the tabs at the top like reading, speaking/listening, grammar, etc.) and listing what they did well and what they can practice. Be gentle, but honest about where the student can improve. Also, many compliments to the student and words of encouragement about their progress are good. If it is Lesson 6, you can recap the project options and when the project is due. If it is a Lesson 6 UA, I always skip the goodbye slide, review the projects, and then come back to the goodbye slides. The reason why they are at the end is if you are strapped for time, you do not have to go over the projects. The projects were just introduced in lesson 5, it has literally only been one class. If you are close to 25 minutes just say, "don't forget, you have a project due in lesson 12" and then start your goodbyes. Just mention it in the feedback what the options are to cover your bases. If you have a super great student, use the project slides to not only find out which project they want to use, but also use them for extension material. Remember you SHOULD NEVER END CLASS EARLY. The biggest downfall of new teachers is often that they are so worried about the number of slides, they don't realize there are so few questions. I have done an entire assessment before in 8 minutes when the student was super late. There is not nearly as much material there as you think. Be prepared to extend! Remember, every question slide should be AT LEAST one minute. If it is a Lesson 12 UA, when you get to the presentation slide I always check to see if it’s been uploaded and ask if they have a project. Some of the time they don't, so I just say "OK! We can do it together!" And then jump to the blank slide at the end and try to get them to do the bare bones of the easiest project. If you're worried about time and they don't have their project, you can always do the rest of the questions and then have them complete it at the end. Either way, have them complete something so they can get some points and then mention in the feedback whether they had it or if you did it together. I'm always generous with project grades, if they come with it done, full points (4). If we can complete it fully together, 3 points. If we struggle to do it together, 2 points. The only time I give 0 is if they didn't have it and we had no time to get it done. Just mention in the feedback that you didn’t have time and they didn’t come prepared so you were unable to give them any points. I know that confuses a lot of people. I ask the question first and see if the student can answer me/do the activity. If not, I model it once/prompt them as appropriate once (I do NOT count this as "teacher assistance"). If they can then do it by themselves after I model once, I give them full points. If I have to walk them through every one/ correct crucial mistakes (i.e. in the grammar section they keep choosing the wrong conjugation) then they get one point. Remember to correct any mistakes they make and go over the material with extra examples if they are struggling and you have time. This is not purely a test. The students might not know this is an assessment, which is preferred. I always treat it like a normal, fun, almost bonus class if you will. I have heard of teachers opening the camera and asking, "Are you ready for your test?" Do not do this. We are not actual teachers, we are tutors. This is not "for a grade", it's just to give the student an idea of their progress. Do not give your student test anxiety, please. Have some fun!